We all know that water is important. But most of us don’t fully realize what a crucial role it plays in maintaining our health. Neither animals, plants nor human beings can function without it. Water is the essence of life. So, let’s take a closer look at it. 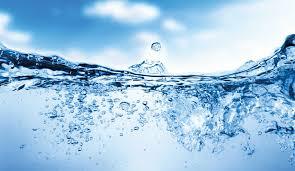 Water consists of one oxygen and two hydrogen atoms. Our body cells ‘swim’ in extracellular water, which has 0.9 percent sodium content. Significantly however, of all the Earth’s water, less than 3 percent is fresh and only 3 tenths of one percent is available for human use. Five thousand years ago, there were no medical doctors prescribing synthetic chemical drugs and no pharmacies selling them. Nevertheless, it is documented that there were fewer degenerative diseases than today and that the healing results achieved were remarkable. Back then, physicians only used what nature provided: herbs, fruits, plant extracts, and other natural approaches. But the main healing aid was a plentiful supply of fresh, clean water. 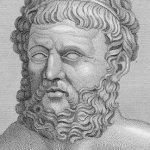 Famous historical figures such as Thales of Miletus, Hippocrates, Asclepius, Hildegard of Bingen, Galen and Paracelsus all swore on the health benefits of water as a precondition for physical and mental wellbeing. At birth, the human body consists of approximately 80 percent water. By adulthood, this has fallen to around 60 percent in men and 55 percent in women. The body’s so-called ‘water balance’ is controlled in the brain. 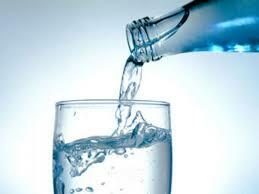 Drinking too little water stresses the entire metabolism. 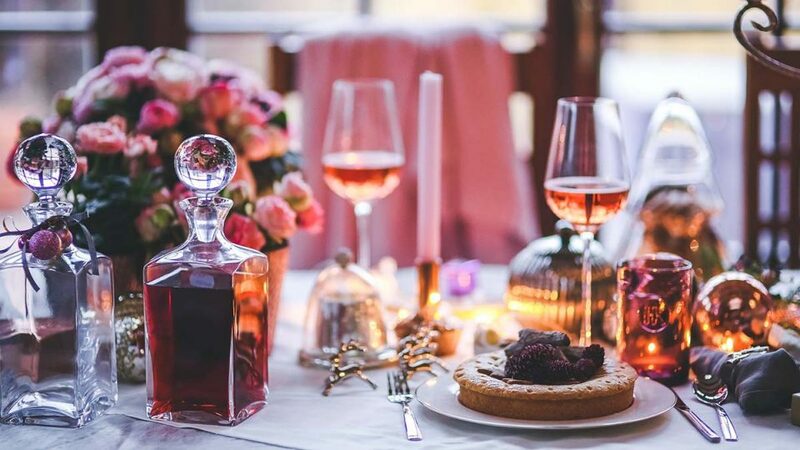 While it is rare for people to drink too much water, this can also be harmful as it leads to low sodium levels in the blood and is potentially life-threatening. Generally speaking, however, most people drink too little water. 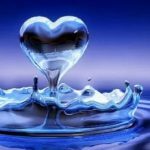 To give you an idea of just how high the body’s demand is, the brain consists of 74 percent water and processes an astonishing 1400 liters of the stuff every day! A miniature hydropower station, your brain can only keep you thinking clearly if it has a sufficient supply of fresh water available. The liver and kidneys have a similarly high demand; the liver consists of 69 percent water, and the kidneys 82 percent. Now imagine what happens if you fail to drink enough water. You can survive for weeks without food, but only a few days without water. Persistent water deficiency makes you very sick, especially if combined with a lack of micronutrients from your food. If this occurs for a prolonged period it results in the blood becoming thick and sticky, which can lead to heart attacks and strokes. 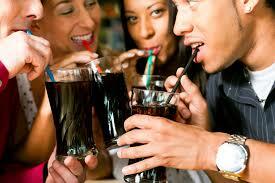 REMEMBER: Alcoholic beverages, black teas, coffee, and soft drinks don’t count towards your water intake. They have dehydrating and diuretic properties, so their intake should be minimized. The cell membrane consists of unsaturated fatty acids. Through opening and closing its pores, water and nutrients are sucked into the cell and waste products eliminated. The process via which water finds its way through the cell membrane is known as osmosis. Tiny charged electrical particles known as electrolytes help with this water transport. It all happens very fast. A red blood cell, for example, exchanges one hundred times its entire water content in just one second! The transport of water into the cells requires optimally functioning cell membranes. To achieve this, a balanced diet rich in long chain fatty acids, such as those found in avocado, salmon, nuts, flaxseed oil and chia seeds, is vital. If you only feed your body with French fries, greasy burgers and potato chips, it will be forced to build its cell walls from these poor quality materials. As a result, lacking the proper micronutrients, water will not be able to enter your body’s cells efficiently. This leads to the cell membranes becoming brittle and malfunctioning. Dehydration of the cells causes all kinds of diseases (including rapid ageing) and needs to be avoided at all costs. Try to get into the habit of taking a bottle of water with you wherever you go, and sip from it frequently. When the water content in the body becomes low, the blood thickens and has a higher sodium-to-water ratio. This raises the blood pressure. A dry mouth and eyes are the body’s attempt to retain as much water internally as it can. Lack of concentration and tiredness are signs that the brain is short of water. Once you feel thirsty you are already starting to dehydrate. The older you get the less thirsty you feel. Elderly people need to be reminded to keep themselves well hydrated. If you consume bottled water, make sure it comes from a glass bottle. Plastic bottles are very bad for the environment and contain a poisonous substance known as Bisphenol A (BPA). BPA is an industrial chemical that has been used to produce certain plastics and resins since the 1960s. Recent research has shown that it can seep into beverages from plastic bottles. It has bad effects on the brain and behavior, raises blood pressure, and is highly carcinogenic. So, drinking your water from glass bottles is the healthiest way to nourish your cells. Tap water is fine for washing, cleaning, showering, taking a bath, and brushing your teeth. However, as a source of daily water intake it should be avoided. It can contain chlorine and traces of slurry fertilizers, which get into the water supply from agriculture. The amounts of nitrates in tap water may be tiny, but they are still carcinogenic substances (i.e. they cause cancer). Poisonous chemicals from drug medications passed out through human urine also find their way into tap water. Because these molecules are so small they aren`t filtered out properly at sewage plants. Mineral water comes from rain and is naturally filtered through the various layers of the soil. On its journey through the soil it becomes enriched with minerals and trace elements. Before bottling it is filtered further to remove contaminants. Table water is a cheaper option but is of much lower quality. It can either be tap water or a mix of other waters. Often carbon dioxide is added, which is unhealthy as it lowers the body’s pH level. Lower pH levels attract funguses and all kinds of problematic bacteria. They also weaken the immune system. Natural spring water mostly comes from mountain areas and is generally bottled at source. It is available with or without carbon dioxide. Curative water has the highest quality of all waters. It is extremely rich in minerals and trace elements and comes from natural underground sources. Curative water is very beneficial for detoxing the body cells. Good health is only possible if there is a constant supply of fresh, clean water. Visit the Movement of Life website and support the Free Water for All campaign! The bottom line is that healthy eating is not enough. Salads and veggies are great, but if you accompany them with a coke or other unhealthy drinks you won’t be getting their full benefits. The importance of fresh water as the essence of life should not be underestimated!